Kidnapped by the Demon King and imprisoned in his castle, Princess Syalis is...bored. Accompanied by an entourage of demon guards, Princess Syalis takes a field trip to the human world to acquire a special pillow. Then she receives several invitations from her demon captors: first, to replace the cooks who have succumbed to heat exhaustion in the Demon Castle kitchen (somebody needs to make Quilladillo's Monster Bird Egg Custard); second, to attend a pajama party (despite being woefully ignorant of the concept); and third, to design a new area for the hero to explore (which turns out to be the exact opposite of what the demons commissioned). 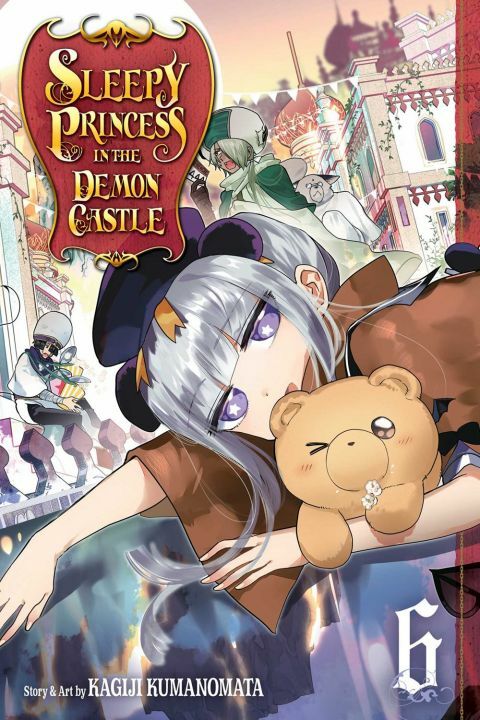 Other products for "Sleepy Princess in the Demon Castle" in "Books"